After a few week of works we have released this new version. Legend is now available directly in the day review. Configuration added of MetaData and Screenshot. many bug fixes thorough the program. After a few months of hard work the second version of Premember is now available. Client category added to the Premember Structure. 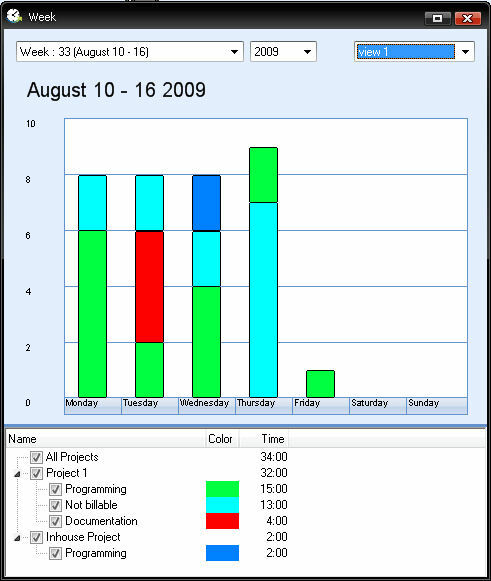 A tree-view created to manage Client, Project and Task Categories. Mayor changes to the G.U.I so you can manage the Structure and the Filters more easily. Welcome Slideshow included so you can easily get familiar with Premember. 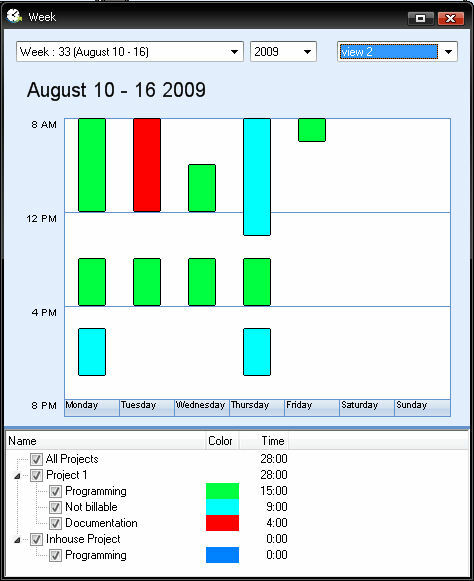 There is a system included that will allow you to fill in your hours with the click of a button. You can read more about this feature in the Automatic time tracking blog post. There is now a Help File included and it’s accessible by going to “Help” > “Premember Help”. A window has been deleted and the functionality has been moved to another window. This change enables easier configuration of custom properties. We have just finished developing a new feature which makes it possible to fill in your tasks automatically. This feature will be available in Premember version 1.2.0 and later. With this new feature you can add tasks with the click of a button. 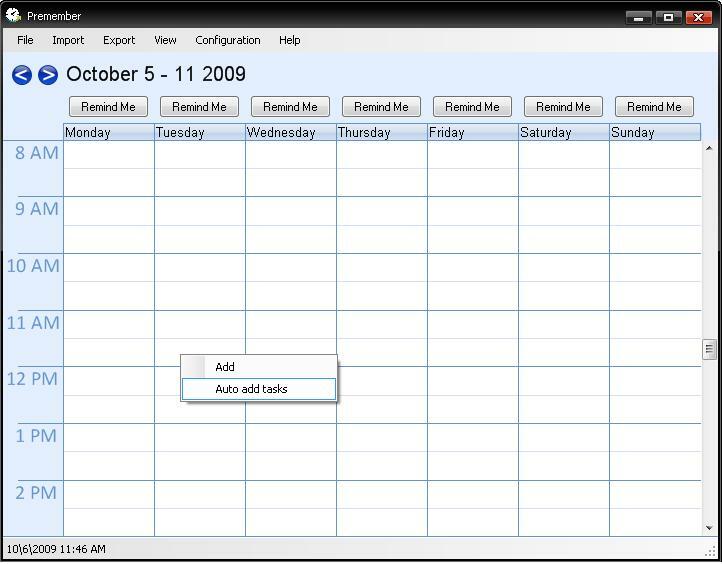 To add tasks to a complete week, right-click on the week calendar in the Main Window and click on “Auto Add Tasks” in the popup menu . When you do this the tasks will be automatically added and you will see a message reporting how many tasks have been added. 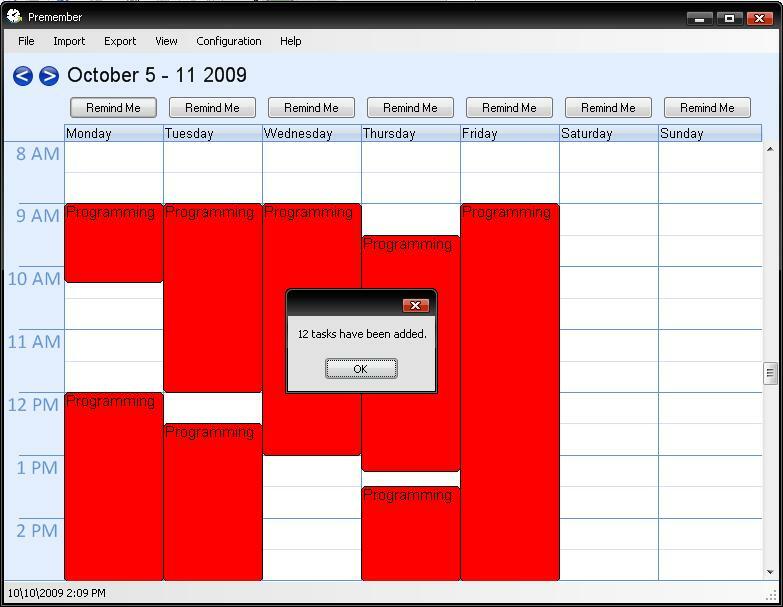 To add tasks to a particular day right-click on the Day calendar in the Remind Me Window and click on “Auto Add Task” in the Popup menu. To make this automation possible you have to assign a Task Category to a filter. The filters can be configured in the General Configuration. You can reach the general configuration by going to Configuration -> General. In the Configuration window you have to select the “Remind Me” tab. Here you can select if you want to use the automation option for this filter. Here you can select the project name of the project that shall be assigned to the task. Here you can select the task category that shall be assigned to the task. 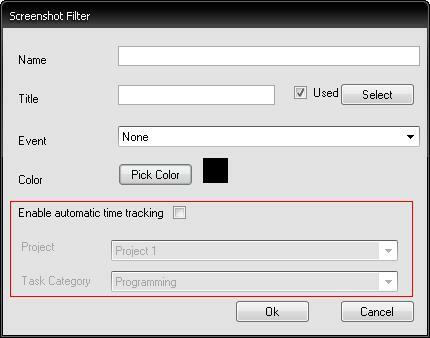 When you check the Automation check box and choose a Project and Task category, the filter is configured for automation and tasks can now be automatically inserted. For the past couple of weeks we have been working on some new views for Premember. These changes allow you to see more easily what task categories and projects you have worked on and how many hours you spend on each. Since we will release the next upgrade in 2 week and the views are graphically finished we decided to post them here. All the views stay on top so you can use the views when you work with other parts of premember. It’s really funny to add a task and then see in real time the change of a view. A view where you can select the month and see how much time you spent on specific projects and task categories during that month. The task categories are represented in a pie chart on each day. The size of the pie chart also says something about how much time you spend working during the specific day. If you worked the whole day the pie chart will fill almost the whole day but if you have only filled a task category of 30 minutes you will see a smaller pie chart. A view where you can select a specific week and see how much time you spent on specific projects and task categories during that week. 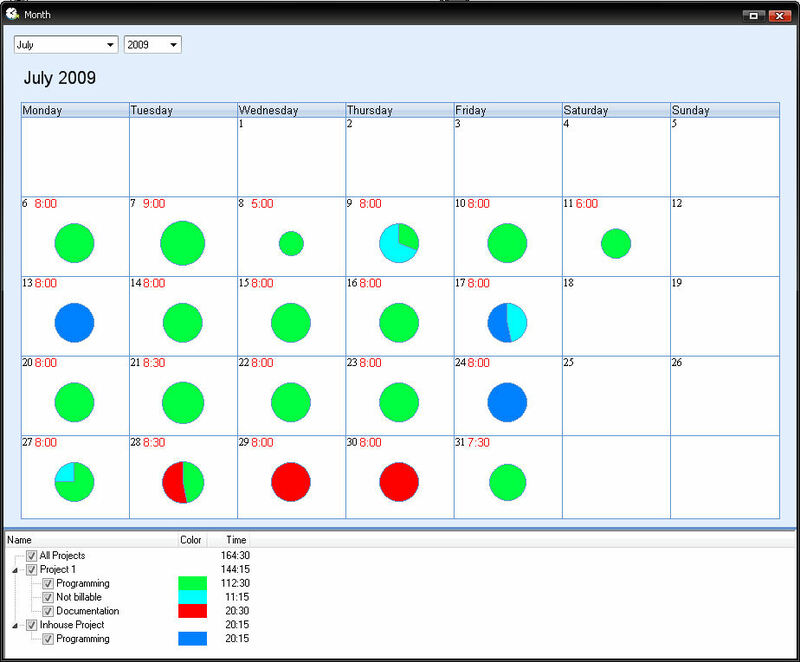 A view where you can select a specific week and see when you worked on different task categories. This is basically a small version of the week calendar.